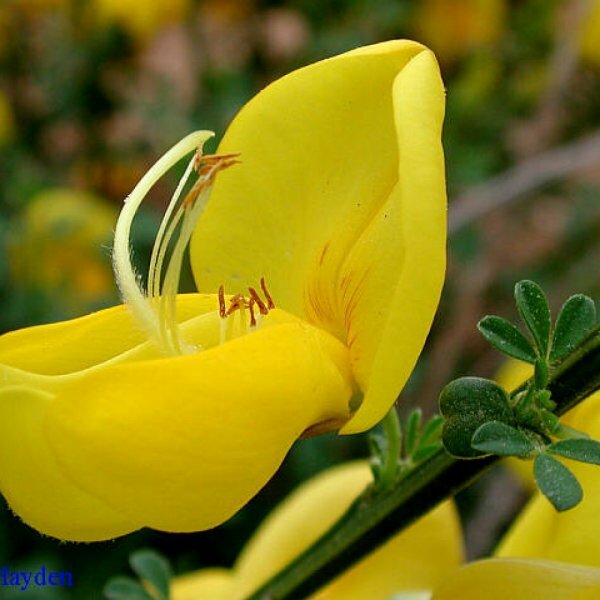 Scotch broom is a deciduous shrub native to Europe but naturalized in the western United States and other areas outside its native range. 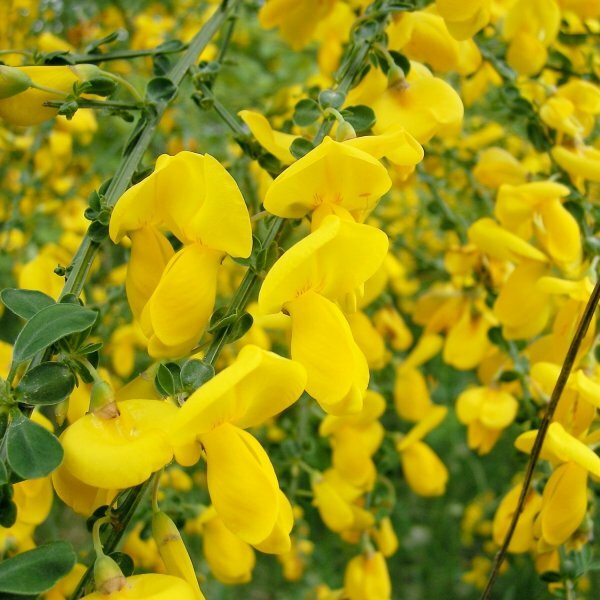 It is known for its profusion of large, fragrant pea flowers and named for its numerous, bright green, upright-arching branches and stems that resemble sweeping brooms. 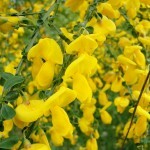 Sprays of flowers in shades of yellow, creamy white, red and burgundy appear from mid- to late spring, attracting bees. Hairy-edged olive-green seed pods ripen in fall, then turn black in winter. 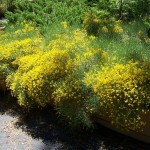 Scotch broom is very drought tolerant and needs a well-drained sandy soil, although heavier soils curtail invasiveness by curbing self-seeding. 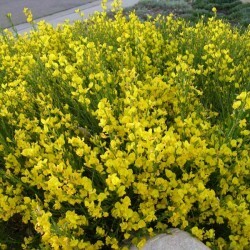 Plant as a specimen in mixed borders, or use as a hedge on top of steep slopes and rough banks, or in a large container. Flowers sprays also make nice cut-flower arrangements.